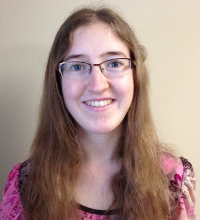 Margaret is joining the CSEPP team as a staff associate during her six-week internship as part of her degree from the University of Rochester. She has been awarded a grant from the Xerox Foundation – David T. Kearns Fund hosted by the Gwen M. Greene Career & Internship Center to support her work this summer. 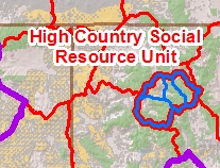 Her projects will include participating in fieldwork alongside CSEPP staff on our current project in the Applegate Valley. Additionally, she will be assisting with our marketing and outreach efforts as well as diving into research to help position CSEPP for forays into new policy areas, such as community-based approaches to climate change, social risk indicators for right-of-way projects, or trends and geographic democracy. Internships with the Center for Social Ecology and Public Policy offer students an opportunity to apply the principles of social ecology and anthropology to real-world projects. Working alongside a team of CSEPP associates with decades of experience in fieldwork, human geographic mapping, and community relations, interns develop valuable skills which can be applied to later work in a variety of fields. Participate in ethnographic fieldwork for CSEPP projects. CSEPP associates draw from the field of applied anthropology to guide their fieldwork practice. Mindful observation, informal conversations, exploratory interviews, site walks, geographic mapping, and formal meetings all play a role in the field-based projects we undertake. When project work is available, CSEPP interns will be invited to join our field team to dive into fieldwork themselves with the support of experienced professionals in the field. Attending CSEPP training sessions on topics such as community engagement, issue management, policy development, and community assessment. Participation is dependent on the dates and locations of trainings. Undertake research in global issues affecting the field of Social Ecology in order to help position CSEPP for forays into new policy areas, such as community-based approaches to climate change, social risk indicators for right-of-way projects, or trends in geographic democracy. Participate in marketing and project development activities to provide interns with real world experience in dealing with multiple kinds of clients with highly variable needs. 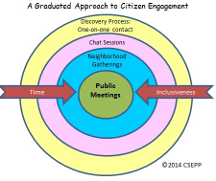 Engage in on-going discussions about CSEPP’s core mission of working through cultural systems in place-based communities to align citizen and institutional interests while promoting valued social change. CSEPP undertakes many kinds of work: some with more substantial fieldwork components and others geared more toward work in an office or through formal meetings. Our staff will work with each intern to design a set of projects that align to the learning goals of the intern and the needs of the organization. Our team values open communication and invites interns to proactively discuss his/her learning needs throughout the internship period to ensure each intern has an excellent experience. Many anthropology degree programs require a fieldwork component as part of your training. Working with CSEPP as an intern is an excellent way to gain fieldwork experience that meets the requirements of your program while also learning about the larger practice of social ecology and public policy. CSEPP staff will gladly work with you to design internship arrangements that meet the requirements of your program. The CSEPP main office is located in Ashland, Oregon and we maintain close ties with Southern Oregon University, also located in Ashland. For most internship arrangements, dedicating at least a portion of your internship to working with associates at our office will prove valuable. Given the range of work we undertake, remote work may be possible for some or all of your internship depending on the interests and needs of both the student and CSEPP staff. We work with all qualified interns to schedule an internship period that meets the needs of both the organization and its interns. For most interns interested in engaging in fieldwork and trainings an internship period of at least 6 weeks is encouraged. Many interns find that devoting a substantial portion of a semester to learning and practicing with CSEPP staff maximizes learning benefits. Start and end dates are flexible and can be negotiated as part of the internship creation process. The number of hours per week you dedicate to your internship is largely dependent on the projects you and CSEPP decide are appropriate given your skills and and the organization’s needs. Full-time work is encouraged and part-time arrangements are also possible. CSEPP values the contribution of its interns to our projects and can offer living stipends to interns based on need and our project portfolio at the time of your internship. Many of our interns are able to secure funding through research and experiential learning grants offered through their own school. CSEPP staff will gladly work with you to sponsor or endorse applications for such grants. CSEPP has close affiliations with Southern Oregon University and a limited number of other higher education institutions. Depending on your degree program’s requirements, our staff can work with you and our affiliates to discuss earning credit for your internship which can be applied or transferred to your school and further your progress toward a degree. The most straightforward way to earn credit for this internship is to make arrangements with your own school’s internship program directly to earn credit. CSEPP staff will, of course, work with you to meet any reporting and documentation criteria associated with such an arrangement. List of 2 references with contact information. Please describe your relationship to each reference. * Most word processing programs include a function to export a document as a PDF. For users of MS Word, click File >> Export >> Create PDF. Many systems also have a PDF writer installed a a printer. If so, prepare your document, navigate to file >> print and select something like “PDF writer”. After clicking “print” you will be given a prompt to select a location to save the file. A freeware application called CUTE pdf is a simple tool to add a PDF writer as a printer to your system.